After I broke my arm, my parents sent me a care package with a variety of dried fruit (figs, apricots, mango and sour cherries) and a Costco size bag of cashews. I love cashew nuts, but the ones my parents sent me were unsalted. 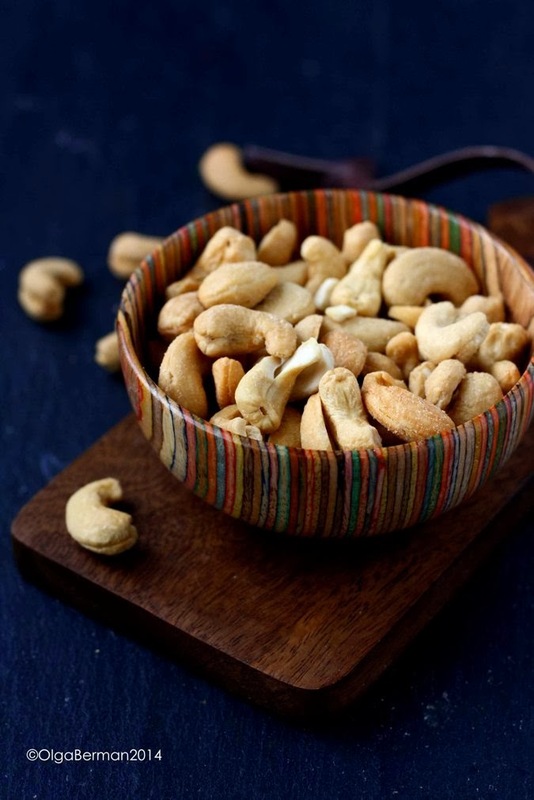 Sure, unsalted cashews are probably a bit healthier than the salted ones, but I love salt! 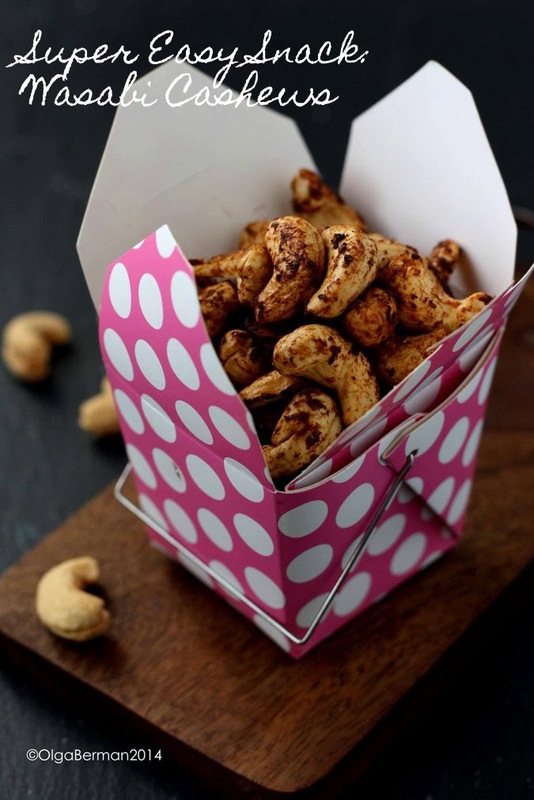 Clearly, it's hard to get salt to stick to nuts, so I came up with a super easy snack that's salty and spicy: Wasabi Cashews. 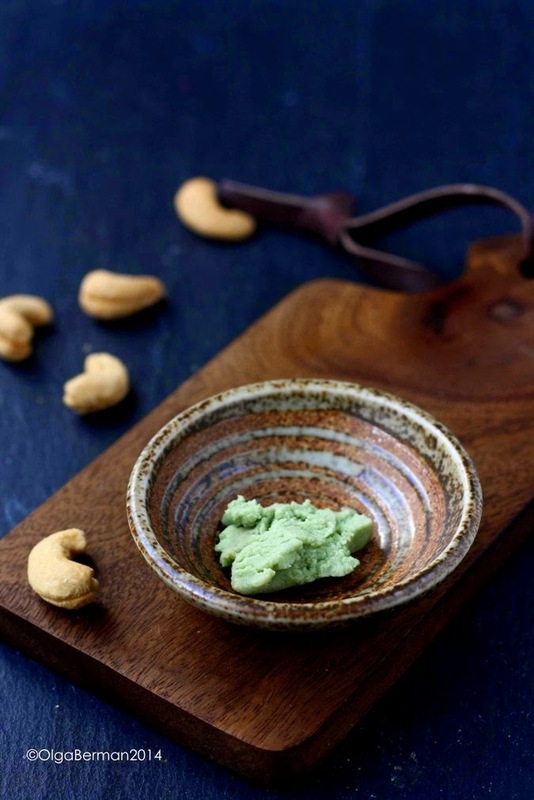 I used fresh wasabi I had left over from a sushi lunch and a bottle of soy sauce from my fridge to turn plain cashews into wasabi cashews. 1. 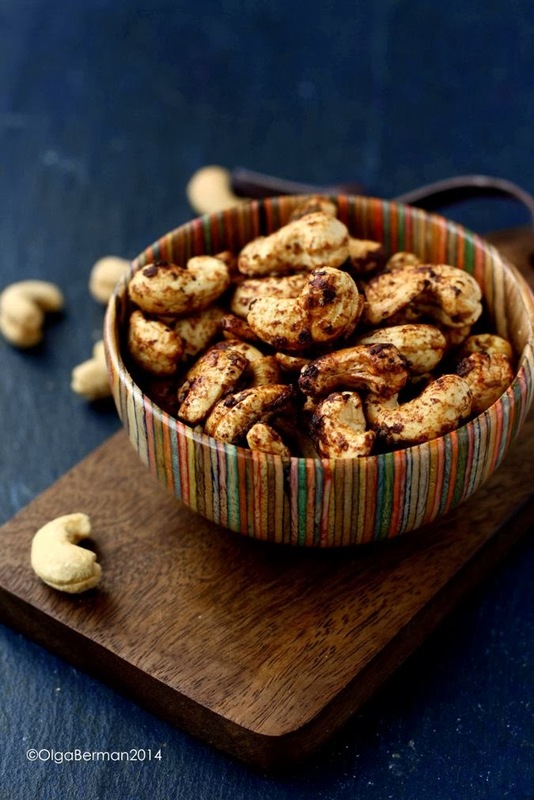 In a skillet lightly toast your unsalted cashews. 2. Meanwhile, make a paste from the soy sauce and wasabi. Use whichever proportions you prefer. 3. Coat the cashews with the soy and wasabi paste and continue to brown in the skillet until the nuts are fully toasted and golden brown. These were great! It's up to you to regulate the amount of saltiness (soy) and heat (wasabi). 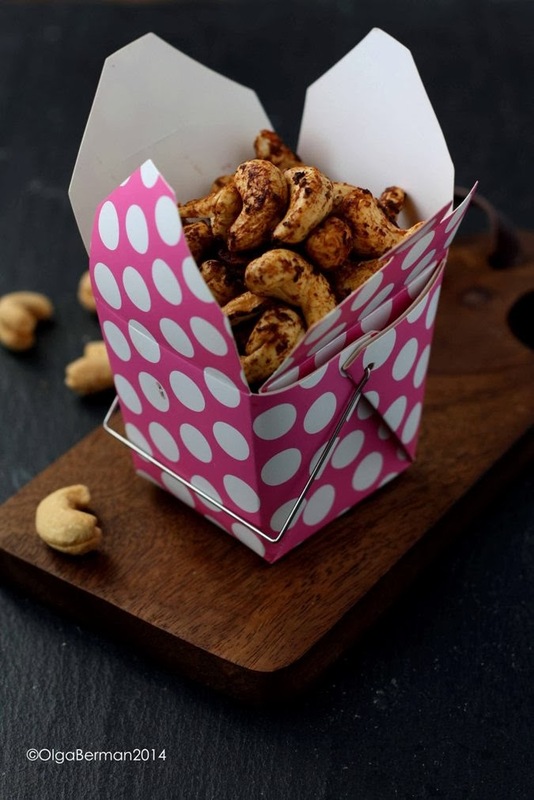 This would be a stellar snack for a party and can be done with other nuts as well! That's supersweet of your folks - sorry what a pain that was. These are sort of addictive, eh?